AT CYOS WE MAKE IT SO EASY FOR YOU TO SOURCE THE BEST QUALITY SUPPLEMENTS AND SAVE HEAPS BY CREATING YOUR OWN SUPPLEMENT POWDER MIXES AND CAPSULES AT HOME. We only source the highest quality supplements from the best suppliers worldwide. Order your Starter Pack and you’re ready to go. Simply follow the instructions using your supplements and starter pack. After a little practice, you’ll be an expert in creating your own supplement in no time. 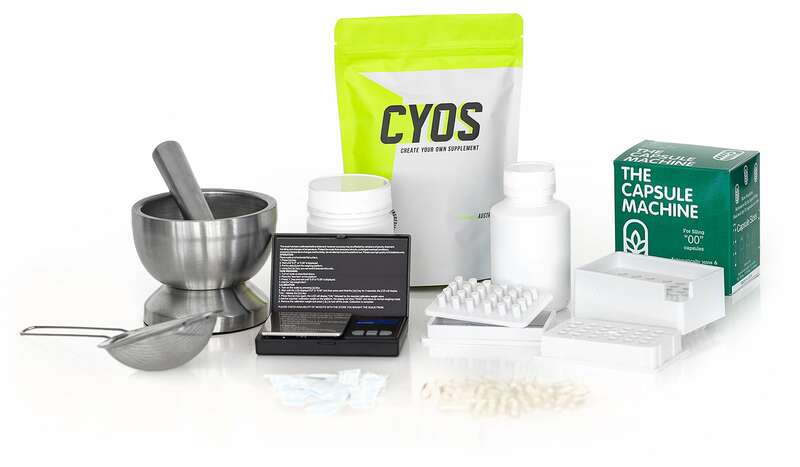 It’s easy to create small quantities of your own supplements at home in a matter of minutes by using our starter pack. Simply follow our step-by-step instructions in the sections below and you will find it easy to create your own single supplement capsules (capsules containing one ingredient) and blended multi-supplement capsules (capsules containing more than one ingredient), or powder blends in a way that will give you an accurate and consistent final product. WHEN YOU ORDER YOUR STARTER PACK, YOU GET ALL THE EQUIPMENT YOU NEED TO CREATE YOUR OWN SUPPLEMENTS. THE EQUIPMENT IS MINIMAL AND RELATIVELY EASY TO USE. THESE ARE THE ITEMS YOU WILL RECEIVE. NOTE: YOU CAN ALSO PURCHASE TOOLS SEPARATELY IF YOU PREFER. If you are creating you own supplement in capsules, these are the number 1 item on your list. We use size 00 capsules that fit approximately 400 – 1000mg of supplement powder but this will vary depending on the powder density. On average they fit 650mg. The capsule machine allows you to fill up 24 capsules at a time – as it automatically joins and ejects filled capsules, making it fast and easy to use. The Milligram scale is used to accurately weigh the ingredients used to fill the capsules. The scale measures weights from 0.01g-300g. You will need packaging to store your completed capsules or powder blends. We have various types of containers and pouches available on our website. The Starter Pack includes one powder bottle, one capsule bottle and one pouch. These are to be put into the packaging containers with your capsules or powders to keep any moisture away and keep your supplements fresh. The mortar and pestle is essential for homogenising and mixing your supplement powders and fillers. You will need a sieve to help break up and blend powders together. Especially if you are using a powder that has a tendency to clump together. The ingredients come in powder form and are of the highest quality. They can be purchased from our website. Fillers are only used if you are not completely filling your capsules with your chosen supplement powder. Adding a filler, will ensure each capsule is properly and evenly filled. Almost any edible non-reactive powdered material, including kitchen staples like baking soda, corn starch and flour can be used as a filler – but these add little nutritional content to the finished product. 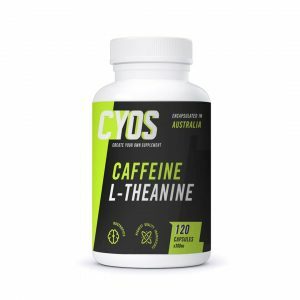 Other popular fillers include creatine and glutamine, which can be complementary to your chosen supplements, while providing the necessary bulk filling agent. You can also use other supplement powders from our additives product range. Mixing agents can help to ensure you create a well-mixed homogeneous powder blend. 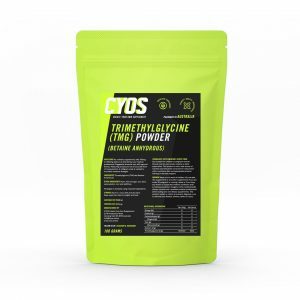 Some powders will not mix well together and using a mixing agent will help the mixing process and help keep the powder blends mixed together over time. See our additives product range. These are important if the powder blend you are creating has an unpleasant taste. See our additives product range for options. Accuracy is crucial to getting optimal results. When you’re ready to start creating your own powder blends, chose a suitable time and place to ensure you’re not rushed and set aside an hour when you will be free of interruptions, then get your equipment arranged on a stable surface where you have plenty of room. Then simply follow these step by step instructions. Select your ingredients and the amounts you want. Decide if you want to use flavours, sweeteners or taste maskers. Consider the properties of each ingredient. Does one clump together or is it hygroscopic (absorbs moisture). If the properties are not suitable for uniform mixing, then you may want to consider using another substance to help with the mixing process and to ensure your mixture stays mixed together and does not clump back together. Silica is one such substance that can be used for this. It is usually mixed with other powders in amounts of 0.5 – 2% of total powder blend volume. Weigh out your ingredients with an accurate scale. Sieve each ingredient to ensure it is a fine uniform powder with no lumps. If you have any lumps use a mortar and pestle to grind (triturate) the lumps into a fine powder. Mix your ingredients together using the geometric dilution technique – slowly combining your ingredients at small portions at a time. For example, if you are mixing two powders, take the powder of the smaller amount and place in the pestle. Then add the other powder but only at an equal amount to the lesser powder, leaving the rest out of the mixture for now. Finely grind (triturate) the powder with the mortar and pestle so it is completely mixed (Homogeneous). Add an amount of the remaining powder equal to what is in the pestle. Repeat the process until all the powder is mixed and homogeneity is achieved. If you are mixing powders that are different colours, then you will easily be able to see how well it is mixing. If you are mixing two powders of similar colours, then you could use a food grade dye in with the powders to ensure the homogeneity of the mixture. After the mixing is done you can package in it a bag or container. Some powders such as herbs may need a Silica Gel bag included in the container to keep the moisture away. Warning: It is extremely important to note the safety of the powders used. You can find safety information on a Safety Data Sheet (SDS). Ensure adequate ventilation is used and if the powders are unsafe to inhale then use safety masks or breathing apparatuses to avoid inhaling the substances. It is also important to ensure mixing is completed correctly and the ingredients are in the correct proportions uniformly throughout the mixture otherwise you will risk taking incorrect dosages of your ingredients which could be dangerous or even fatal. If you have any doubts about the mixture do not take it. When you’re ready to create your own single supplement capsules, choose a suitable time and place to ensure you’re not rushed and set aside an hour when you’re free of interruptions, then arrange your equipment on a stable surface where you have plenty of room and follow these step by step instructions. Insert your empty capsule shells into the capsule machine. Set up the capsule machine following the instructions provided with the machine in your starter kit. Load the empty capsules into your machine – the long halves go into the base and the shorter halves go into the lid. Set the base of your capsule machine on the provided stand and place on a plate or shallow bowl to catch any spillage. Using the provided scraper, fill all 24 caps with your chosen supplement powder. Tamp (press down) the filled capsules with the tamper provided to compact the supplement powder. Fill and tamp (compact) again. Repeat this process until the capsules are full. Following the instructions provided with the machine, connect the lids of the capsules back onto the capsule body and take the capsules out of the machine. To do this, remove the base from the stand. You can now place the lid with the capsule tops on the base. Press down hard to join the capsule pieces together. The base is on a rigid spring and will flatten with adequate pressure. You can now press down on the back of the lid to release your capsules. Your single supplement capsules are complete. We recommend weighing the filled capsules (and deducting the weight of an empty capsule) to determine how much of your supplement powder is in each capsule. You can now repeat the process to make more capsules or clean the machine for another day. Accuracy is crucial to getting optimal results. When you’re ready to create your own blended multi-supplement capsules, choose a suitable time and place to ensure you’re not rushed and set aside an hour when you’re free of interruptions, then arrange your equipment on a stable surface where you have plenty of room and follow the step by step instructions below. Decide your ingredients and the amounts you want. Measure the individual density of each ingredient. To do this you need to know how much of each ingredient fits in the capsules. Run each ingredient through the capsule machine and weigh the capsules. Record the weights of the capsules for each ingredient. These weights can be used to calculate the density of each ingredient compared to the other ingredients. Decide which ingredient will be the “filler”. This ingredient will be the one that fills the remainder of the capsule after your active ingredients. Use the multiple ingredient capsule formula* (see below) to calculate how much filler you will need to accurately make your capsules. Mix your ingredients together using the geometric dilution technique. Geometric dilution is slowly combining your ingredients at small portions at a time. For example, if you are mixing two powders, take the powder of the smaller amount and place in the pestle. Then add the other powder but only at of equal amount to the lesser powder, leaving the rest out of the mixture for now. Finely grind (triturate) the powder with the mortar so it is completely mixed (Homogeneous). Add an amount of the remaining powder equal to what is in the pestle. Repeat the process until all the powder is mixed and homogeneity is achieved. If you are mixing two powders that are of different colours, then you will be able to see how well it is mixing. If you are mixing two powders of similar colours, then you can use a food grade dye in with the powders to ensure the homogeneity of the mixture. Once the powders are completely mixed it is now time to encapsulate your powder. Follow the instructions included with the capsule machine to create your capsules. Package your capsules in a container of your choice and include a silica gel pack to keep moisture away.